holistic business development: Apple launching new Mac Pros, speedbumped iMac, new Cinema Display and maybe the Magic Trackpad tomorrow? 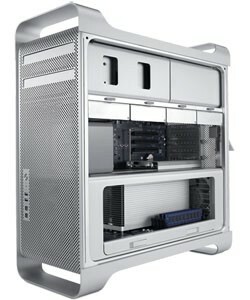 Apple launching new Mac Pros, speedbumped iMac, new Cinema Display and maybe the Magic Trackpad tomorrow? Sure, we've been hearing whispers that Apple's got a new Mac Pros and some updated iMacs waiting in the wings, but our friend John Gruber at Daring Fireball seems just a mite more confident about things -- in a post trumpeting the return of his podcast The Talk Show, John coyly says tomorrow "might hypothetically" bring new Mac Pros, speedbumped iMacs (we'd guess the Core i3 will make its OS X debut), and a new 27-inch 16:9 Cinema Display will all arrive tomorrow. John also says the Magic Trackpad might also arrive tomorrow, but he's calling that one a "double-hypothetical," so who knows -- we'd think anything more serious than hardware refreshes would warrant a Jobs introduction, but hey, maybe Steve's all talked out for the month. We'll see what happens -- stay tuned. Apple launching new Mac Pros, speedbumped iMac, new Cinema Display and maybe the Magic Trackpad tomorrow? originally appeared on Engadget on Mon, 26 Jul 2010 15:06:00 EDT. Please see our terms for use of feeds.